According to the United Nations, World Days or International Days are launched in order to raise awareness, draw attention to and point out that there is an unresolved problem, an important and pending issue in societies, so that, through this awareness, governments may take action, and even citizens themselves may contribute. Especially regarding health themes, World Days are launched by the Pan American Health Organization/World Health Organization with the objective of raising awareness for the prevention and management of multiple diseases. There is a yearly program for World Days, available here. Every year on July 28, World Hepatitis Day is celebrated. This began in 2010, in the 63rd World Health Assembly, in response to the public health issue that the disease represents. According to WHO, viral hepatitis B and C are the main health problem, as they affect 325 million people around the world. Furthermore, they are the main causes of liver cancer, which causes 1,34 million deaths per year. 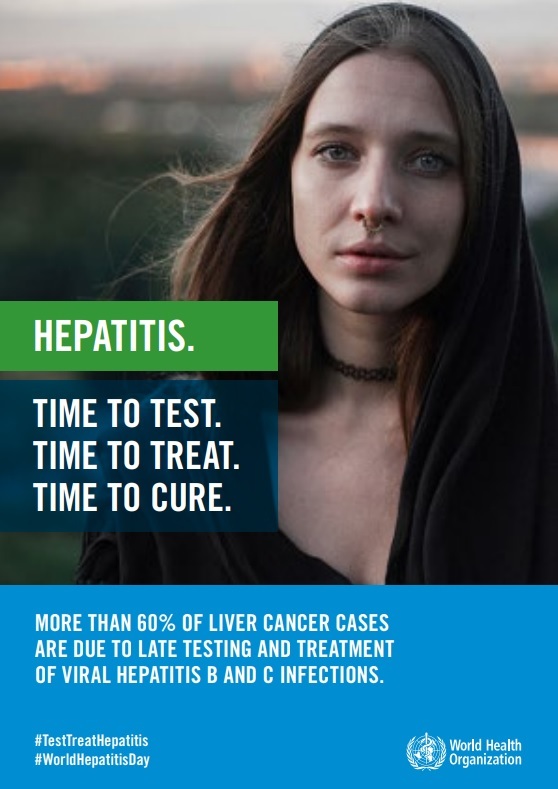 In 2018, World Hepatitis Day is celebrated with the following theme: “Test. Treat. Hepatitis”. It is important to note that since 2015, the Region of the Americas has a Plan for Action for the prevention and control of viral hepatitis for the 2016-2019 period. This Plan is in consonance with WHO’s International Strategy against viral hepatitis for 2016-2021, approved in the 69th World Health Assembly in May 2016, which aims to eliminate, until 2030, the threat to public health represented by viral hepatitis, to stop its transmission and to guarantee access to care services and safe and accessible treatment for all people living with these diseases. The knowledge showcases, available in the VHL Regional Portal, which refer to scientific literature registered in the main national and international databases, bringing articles and other types of relevant documents in order to guide clinical and administrative decision-making, highlighting the context of the Latin American and Caribbean Region through scientific production from the LILACS database that focus on the issue addressed. Access the World Hepatitis Day 2018 showcase and information on the disease through the LILACS database. On the other hand, the Health Information Locator (LIS), with its Internet and social network resources, brings updated and interactive information, some of it knowledge translated for the general public. All information disseminated by BIREME, as a PAHO/WHO specialized center, helps to enrich the large body of information on the subject that is already published on PAHO/WHO websites by the regional areas, such as videos, posters, social network information and strategic documents.